I learnt this recipe recently from Mr. Ramakrishnan of OPOS. He showed us how to make achari semiya with pickle. 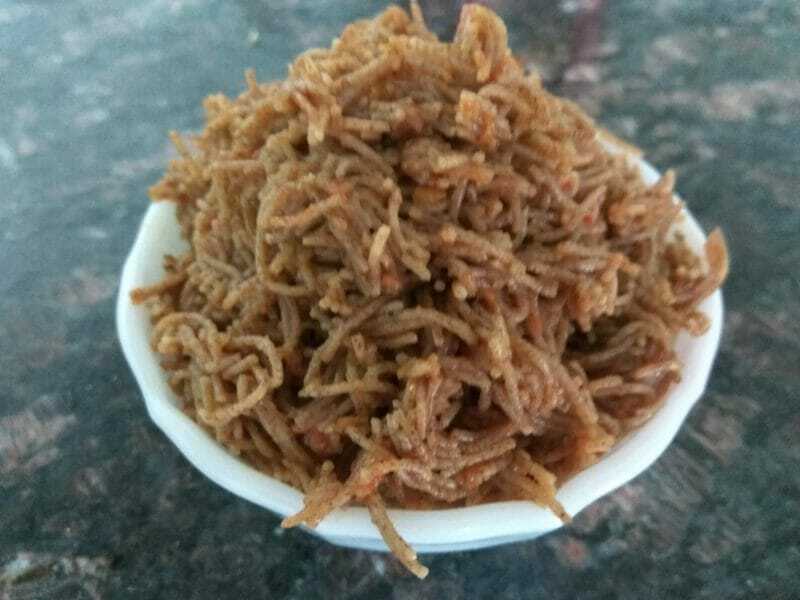 I used Ragi vermicelli and tomato thokku for this recipe and it turned out so well in minutes. In a 2 Ltr cooker add water, vermicelli and thokku. Cook for a whistle. Release pressure manually, open and leave it as it is in the cooker till it cools down. Mix gently and serve. Achari semiya ready in 3 minutes. 1. Other millet vermicelli can also be used. 2. Any pickle can be used instead of tomato thokku.